Tona Organic Farm's Mustard Oil is as pure as mustard oil can get. It is made from organically cultivated mustard seeds in the TONA Village. Incorporating mustard oil into your diet helps protect against heart disease, according to a study in the April 2004 issue of the American Journal of Clinical Nutrition. 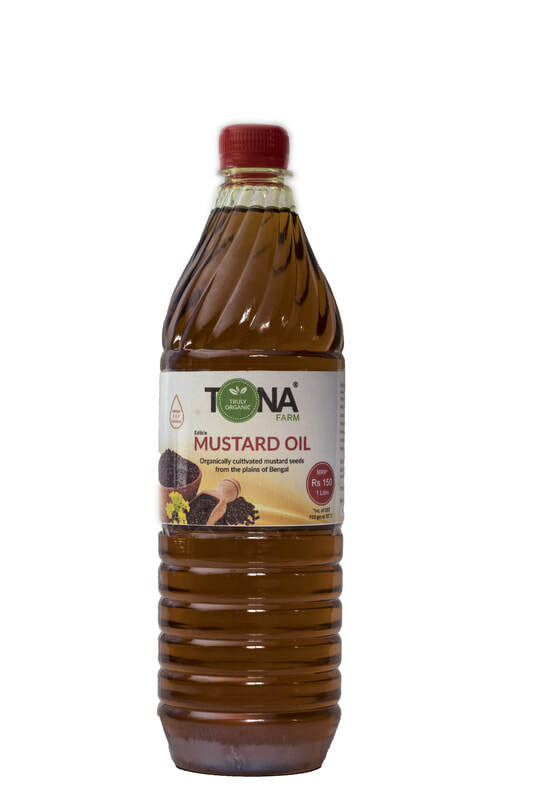 TONA Mustard oil is rich in monounsaturated fats and polyunsaturated fats, both of which help lower bad cholesterol and raise good HDL cholesterol. Tip: You can mix a tablespoon of raw mustard oil with your daily food. This has a direct good impact on your cholesterol levels. How do you know your oil is pure? 1. On shaking the bottle there shouldn't be any froth. 2. On pouring the hot in a hot pan the oil's top layer shouldn't evaporate immediately. These two are signs that what you're having is impure. To order within Kolkata what's app us at +919836089128. We will deliver an order of a minimum of Rs 1000 to your home the next day. *Stock availability will be confirmed while placing the order. For prices check out our site. We all love Laal Saag or Red Spinach. Fried with mustard oil and some peanuts this is a delicacy in Bengal. But most of the veggies we consume are laced with highly toxic chemicals. TONA Organic Red Spinach is a good source of vitamins C and A, iron and other essential minerals, besides being low in calories. To prevent the loss of nutrients it’s best if they are not overcooked but added right in the end while making soups and stews. Tona Red Spinach can improve digestion, kidney function, anemia, immunity, weight management, greying of hair, hair fall and eyesight. An annual economic survey conducted recently said changes in climate could shrink agricultural income by as much as 25% in unirrigated farmland and 18%in irrigated areas by 2100 in India. (Source: https://www.thenational.ae/…/india-food-crisis-likely-if-cl…) The story across the world is similar. We know everything yet we dont do anything. Not anymore. This gloomy future can be stopped. Tona Organic Farm has developed a homegrown strategy through a mixture of agricultural practices for the last 18 years which can solve many farming and food related issues. 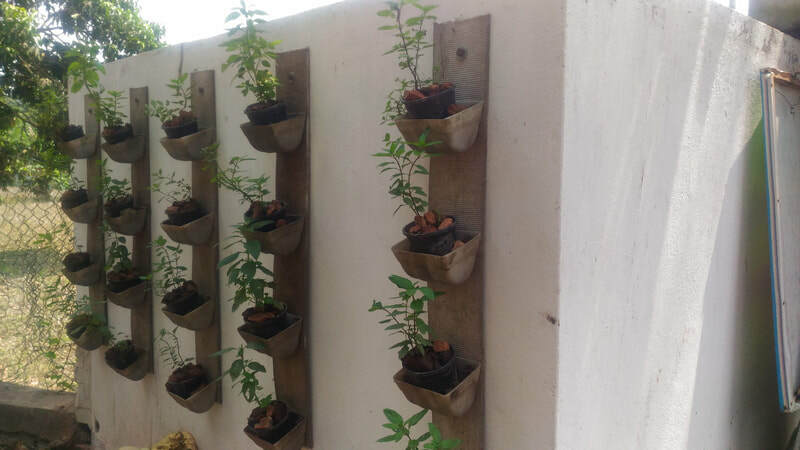 Whether you have a small land or a house in a city with just a balcony to offer our scalable model can be customised to make your home into an vertical organic farming garden. 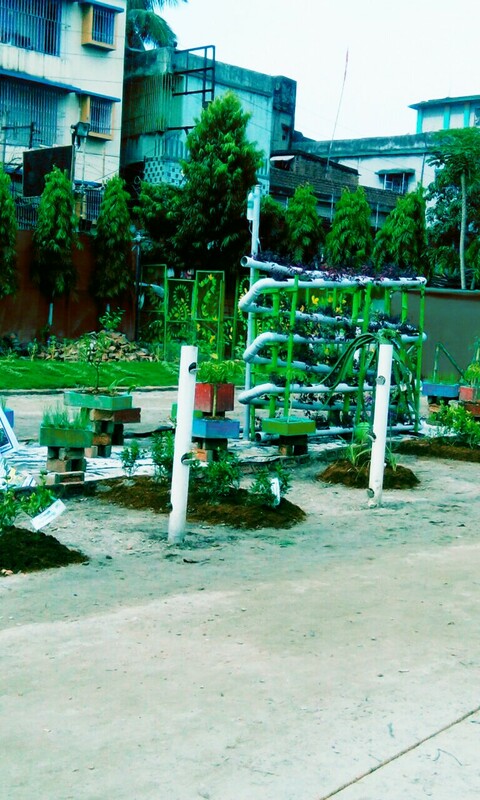 For details give us a call and we will more than happy to make you an urban agro-entrepreneur. The Pictures below are a few of our scalable and cheap models for Scalable Urban Vertical Farming. 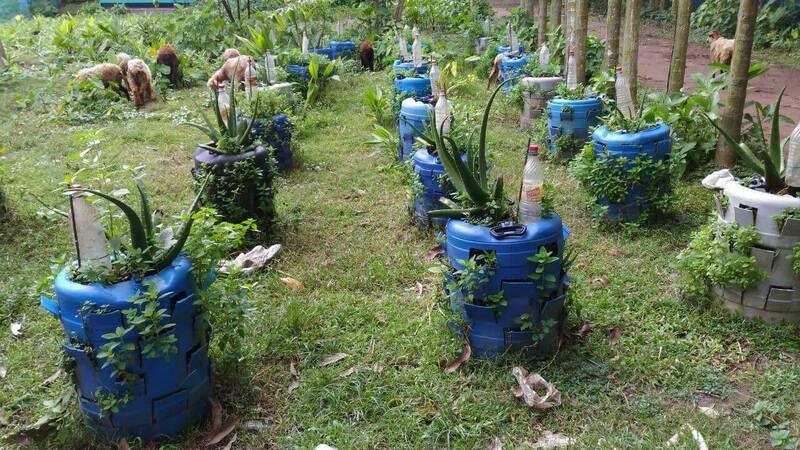 At Tona, one of out primary goals is to lower the cost of farming and bring down the cost of organic farming. 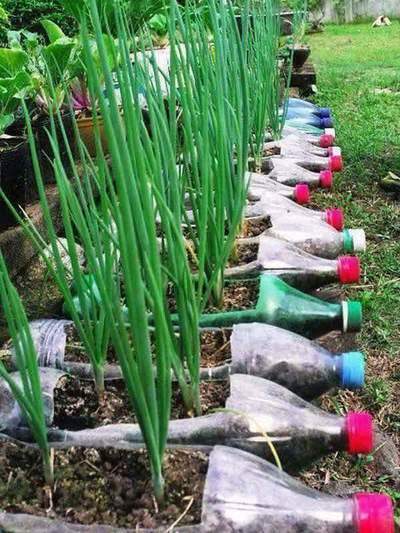 One of the ways we achieve this is by using vertical urban farming. Land shortage, especially with hostile takeovers by large corporates has been plaguing India in the last decade. 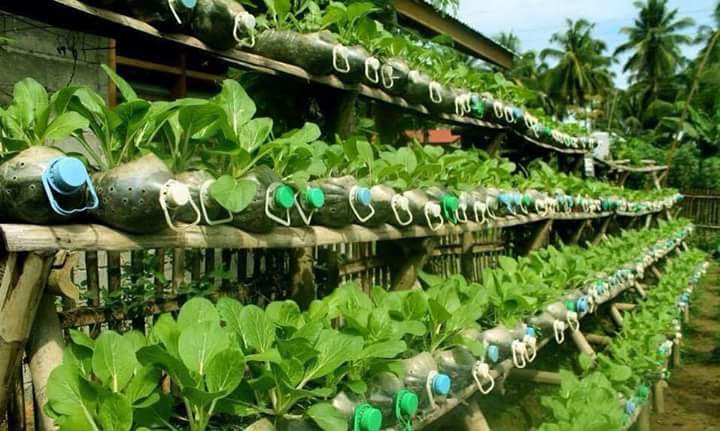 Urban Vertical Farming reduces the requirement of land by enabling using of a single square feet of land to produce multiple products. 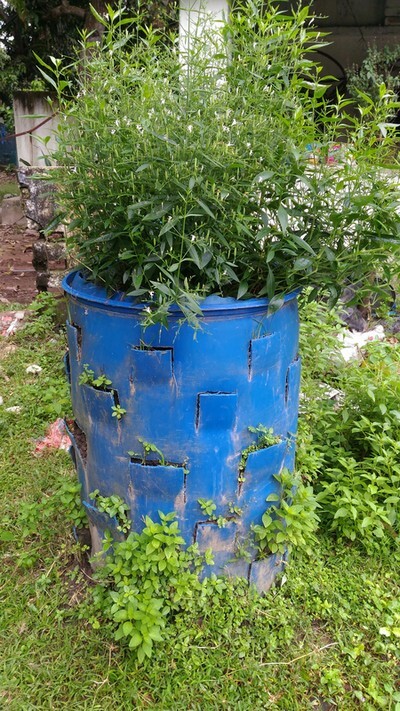 We went one step further and started using discarded plastic drums and bins as pots. The water comes from our ponds using Aquaponics. 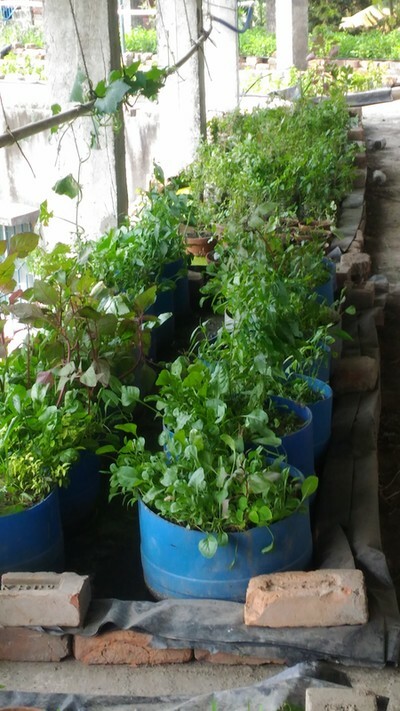 Here is a small sample of our rooftop vegetable garden. 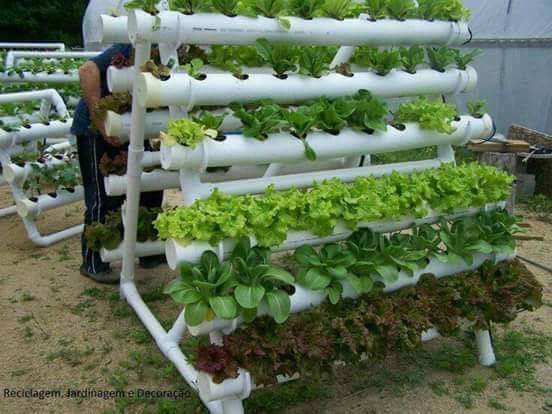 A vertical system of urban agriculture is now becoming very popular across the world. With land availability a problem vertical farming allows you to produce organic super food at your home in a city. Many companies are using this technique. But we have noticed that their products are very costly making is unviable for consumers across all spectrums to enjoy the benefit of chemical free organic food. Also most farms are focused on vegetable production where as TONA has created a model for both vegetable and meat cultivation. 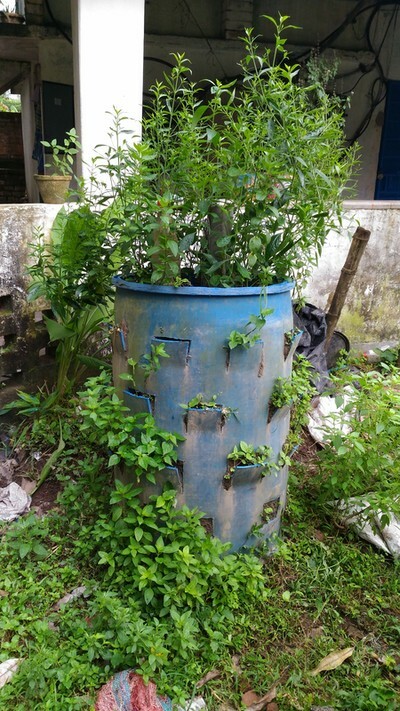 The secret to making the products from urban vertical farming lies in nature. Remove the costly LED lights, posh looking buildings, expensive adverts and see how much it positively impacts in cost reduction. 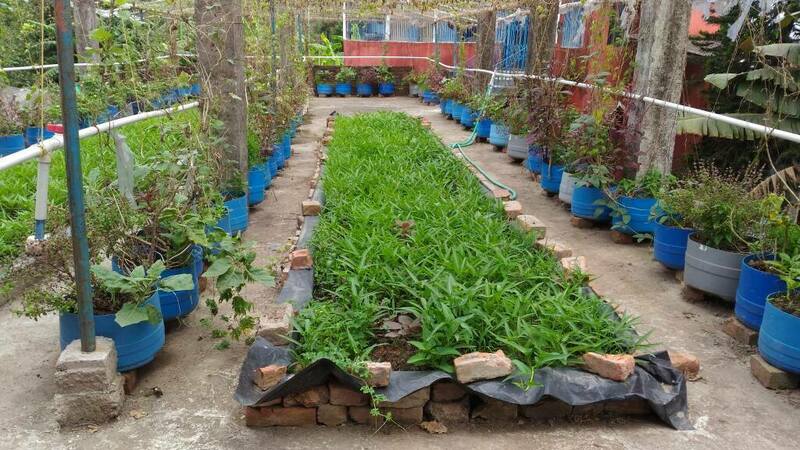 Good plantation practice only needs proper air, heat, light and water with nutrition. Any media(soil, sand, water, even air) which can hold water with nutrition, can grow plants correctly. Day-to-day family waste can be the feed for chicken or turkey or quail. Their waste is a good source of fish. 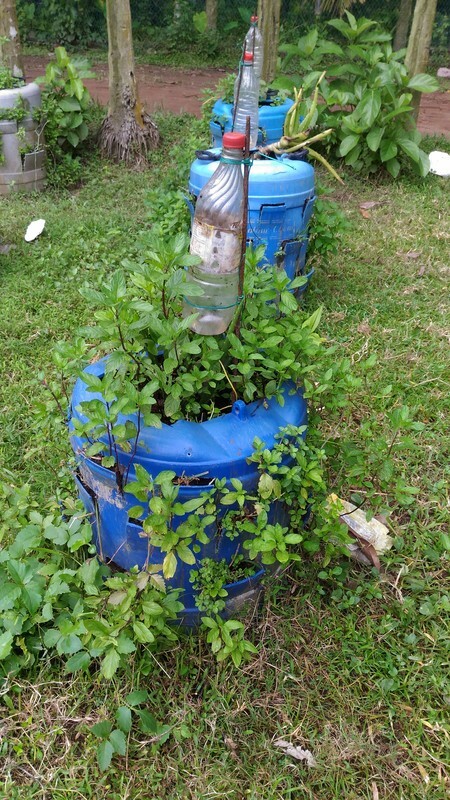 Fish waste is converted to plant nutrient by some bacterias like nitrosococus, nitrosomonus and bioreactor. TONA is helping many individuals and companies take up this sustainable GHG free vertical farming practice. 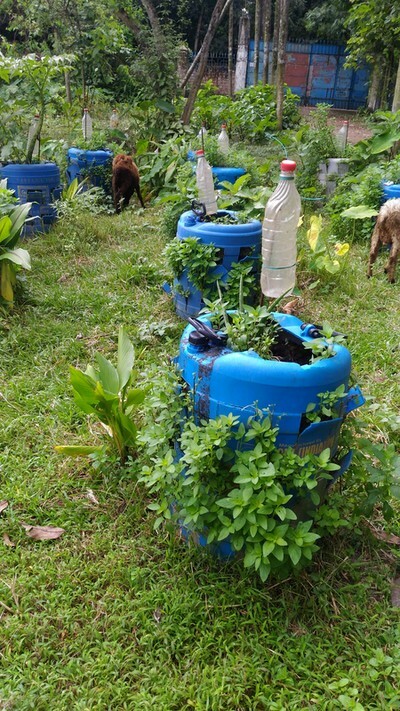 Water Hyacinth is an invasive plant that farmers hate. Atleast that's the modern belief. We challenged this belief and wanted to use this pest as an ingredient in the organic cycle. 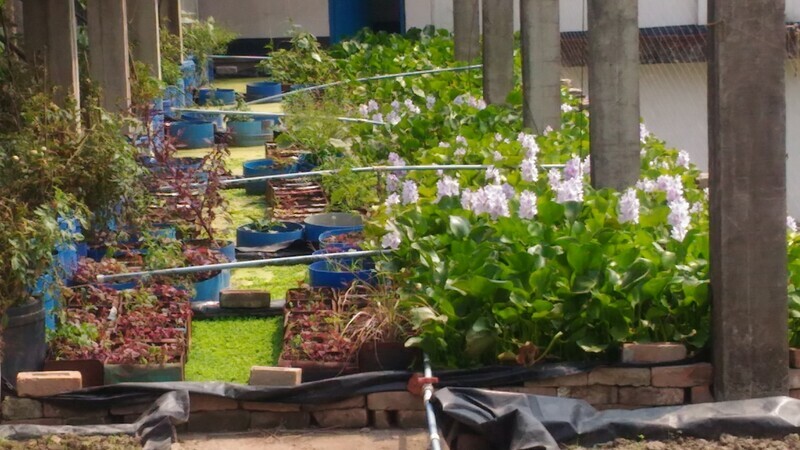 Tona, our organic farm, is producing animal feed from Water Hyacinth or Kochuripana, otherwise a plant known for its invasive 'pesky' tendency through its innovative farming practice. 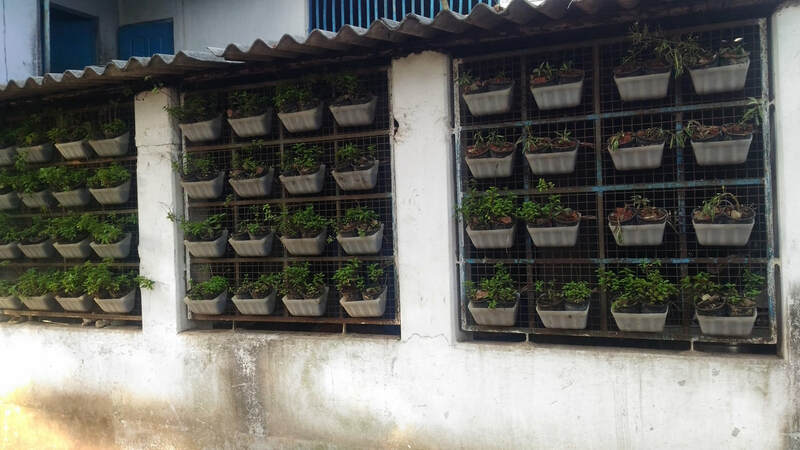 The rooftop gardening of this zero-priced zero-maintenance plant also is a natural cooling agent...keeping our units and room cool.... This also helps in Tona's zero waste production model since normally these plants are removed and they rot producing waste... harmful Greenhouse Gases (GHGs)... The nitrate content in this plant is actually what our cows love when mixed with other fodder. Tona believes Organic Food should be Affordable and not marked up as they are done now so that it's not only the uber elite who can afford it... Tona is now looking for funding to grow this model to a large scale and enter the market big time and affect more poor/tribal/under-developed villages by developing such replicas across India and maybe other poorer nations. 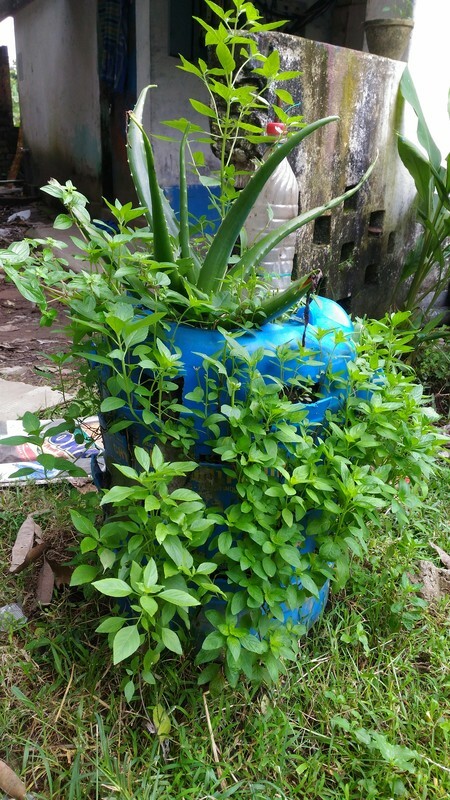 What is Organic Phenyl and is it effective? There is a lot of debate on the utility of cow in India. Apart from being a farming aid and source of milk there are many other utilities of a cow. While cow dung is an organic cooking fuel its urine does have far reaching results when used properly. Panchaagabya, the combination of cow urine, neem and datura along with garlic is the ideal organic combination for biopest. Tona has been using this combination on its phenyl for the last ten years. Generally, the range of black phenyl is 6-7. RWC of TONA phenyl is 6.3. In general, white phenyle rwc range is 3-4. This formula has been sitting with India and her farmers for centuries. Chemical free and perfectly safe for houses with children or pets, the use of TONA's phenyl can help you live a healthy life. Phenyl or its other chemical supplements available today, is one thing which comes in direct contact with the human body as its residue lingers on for some time — be it in the toilet or if it's been used to sweep the floor. An organic solution like Tona promises peace of mind. Just another non chemical natural organic solution from Tona Organic Farm.